Padua (in Italian “Padova“) is less than half an hour’s drive from Venice, and even the time spent on a farewell breakfast at the hotel on Lido and a ferry ride back to the mainland to retrieve the car still allows for a mid-morning arrival. In fact, the distance between each night’s stay for this trip rarely exceeds 100 miles, and the short travel legs make for plenty of time to wander off the beaten path. Like stops earlier in this trip at Bergamo and Verona , Padua is a destination omitted from shorter Italian itineraries, despite the fact that autostradas place it within easy reach of Venice or Florence. 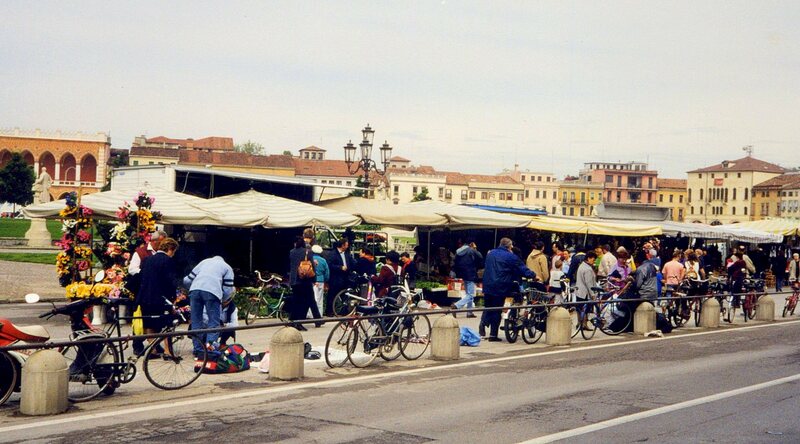 On this morning, the itinerary is very off-the-cuff, and Padua is a place which lends itself well to such spontaneity. 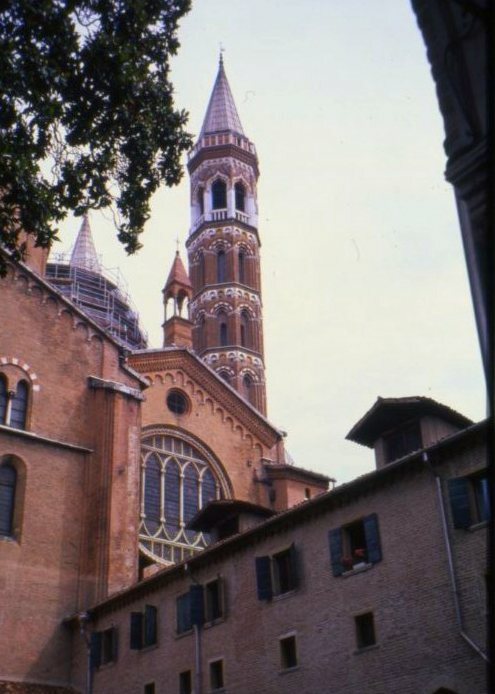 This city is perhaps most well-known as the final home of Saint Anthony of Padua, buried in his namesake basilica. A Portuguese-born Catholic priest and Franciscan friar first renowned as an eloquent preacher, and later as the patron saint of finding lost people or property, he was a saintly superstar canonized within a few years of his untimely death around the age of 40. As elsewhere in Medieval Europe, relics of the saints held a pre-eminent spot in Catholic practices, and among the grisly relics on display here are his skeletal remains and what is purported to be the great orator’s tongue! 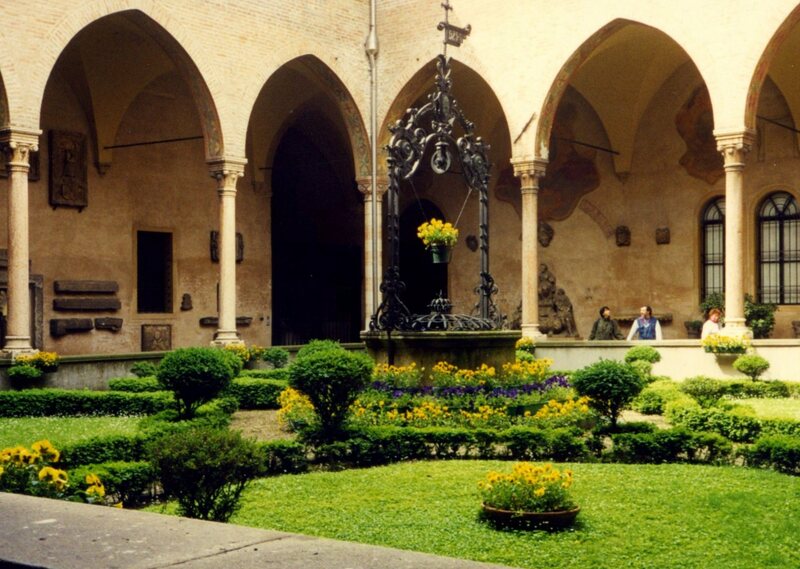 This city is also home to the University of Padua, one of Europe’s earliest. Older than any Italian university except the one at Bologna, it once numbered Galileo among its lecturers. 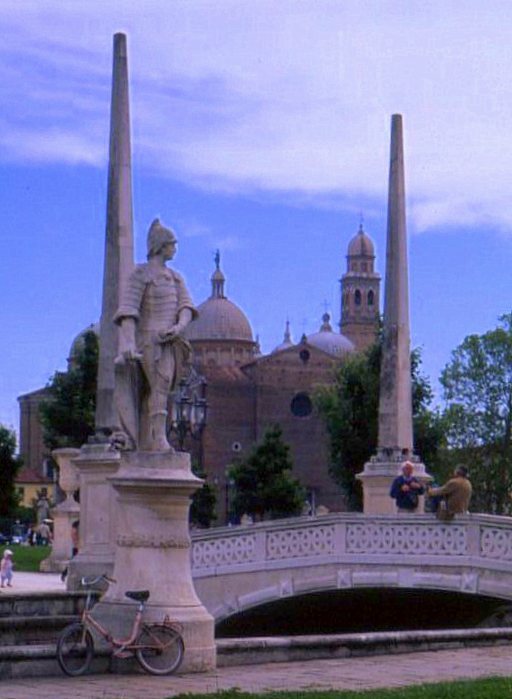 Like many cities in this part of Italy, Padua suffered barbarian invasions as the Roman Empire collapsed, and through the Middles Ages was dominated by – and frequently traded among – he region’s city-states and puppet kingdoms. It nonetheless has a tradition of constitutional government dating back more than a millennium. During the wave of revolutions that in 1848 swept Europe and Latin America, Padua’s students and citizens staged an unsuccessful revolt against the Austrians that turned the University and the city’s famed Caffè Pedrocchi into battlegrounds. The Italian Army made its headquarters here during World War I. At the war’s low-water mark, the city was within range of Austrian artillery and was bombed several times, but it was also in Padua that the Austrians surrendered to the Italians when the armistice came. 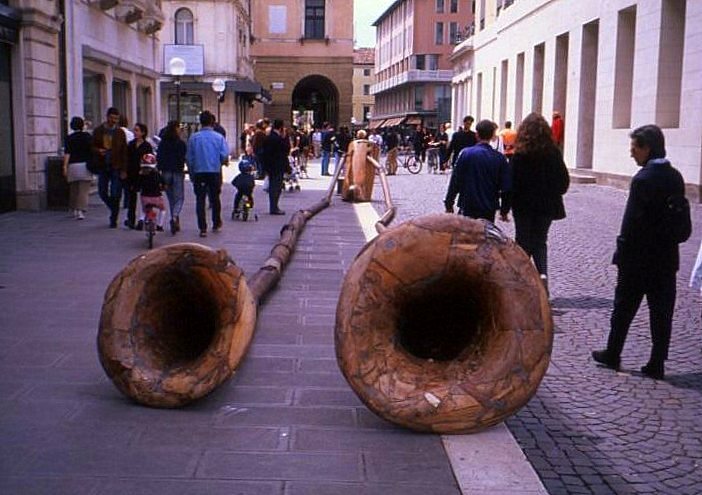 During the Fascist era, Padua was the venue for one of Benito Mussolini’s largest rallies, where a crowd of more than 300,000 attended his speech. During World War II, the city was bombed by Allied planes. 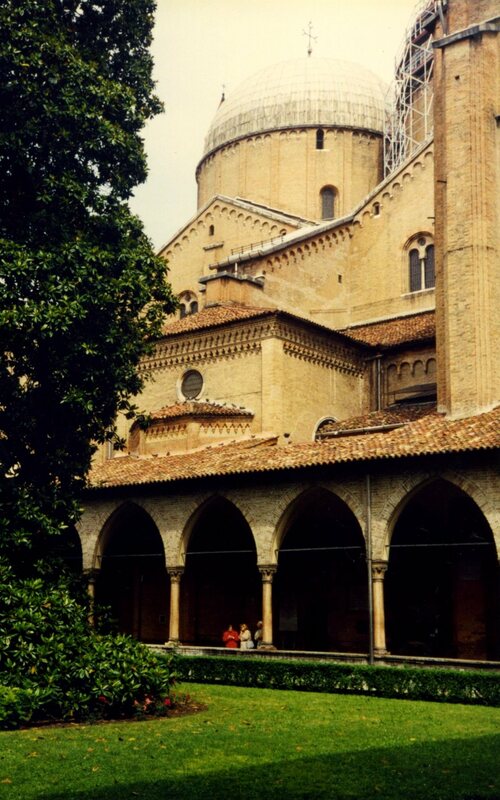 Notwithstanding its contentious history, Padua remains a picturesque town. It sits on a bend of the Bacchiglione River, which once fed a moat surrounding the city walls, and make of it a city of bridges, among which several date back to the time of the Romans. The old city is criss-crossed by a labyrinth of streets which open into large piazze that make it a great place to just wander about. 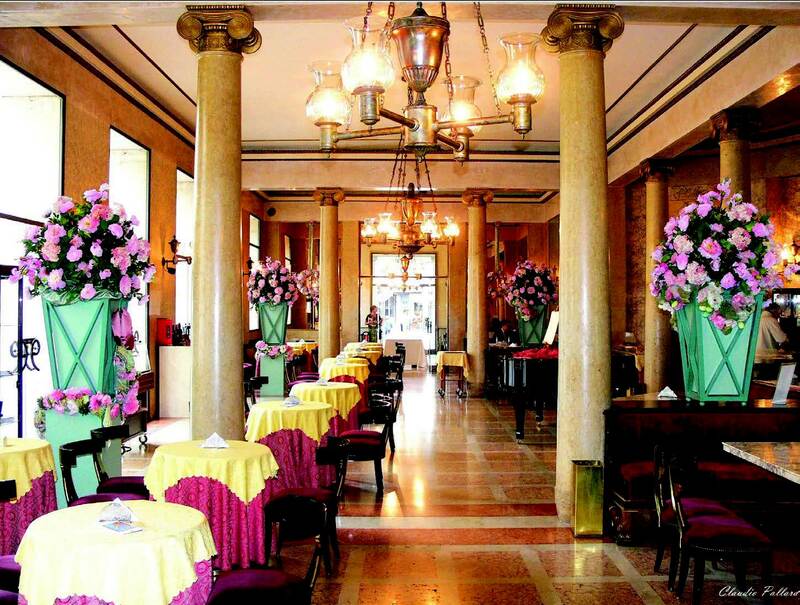 One of the most memorable sites is the city’s famed Caffè Pedrocchi . The original part of this cafe dates from 1772, although it was expanded more than once in the century following. Caffè Pedrocchi follows in the tradition of European coffee houses where students, artists, and activists met to exchange ideas and plot revolution. 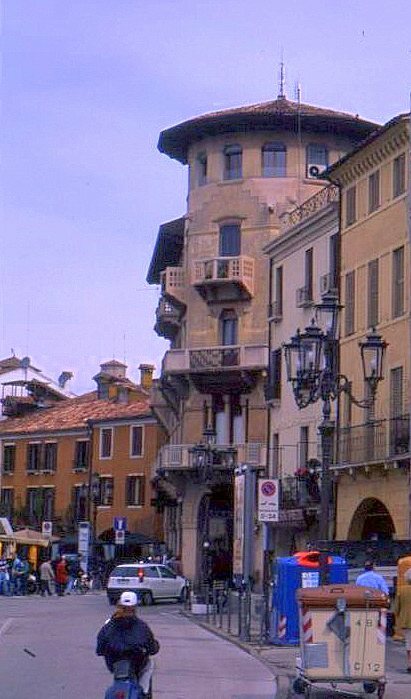 The owner’s heir willed the café to the City of Padua in 1891, charging the city fathers with “the solemn obligation to preserve the building as it exists today in perpetuity for public use “. 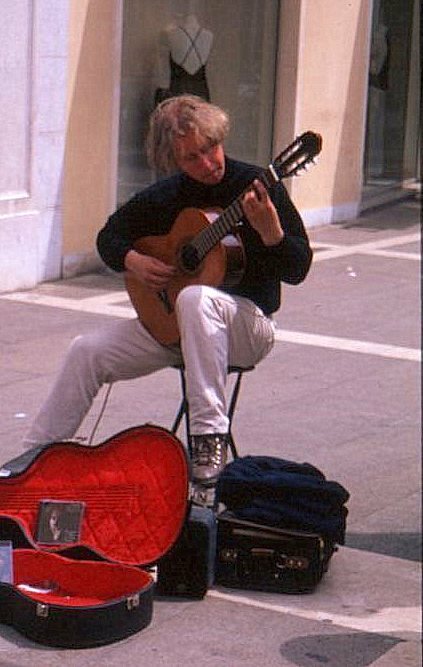 Today’s travel plan is to spend the afternoon and evening in Bologna, but just before the departure from Padua, a stroke of good luck carries this city walk past an open market in a piazza. 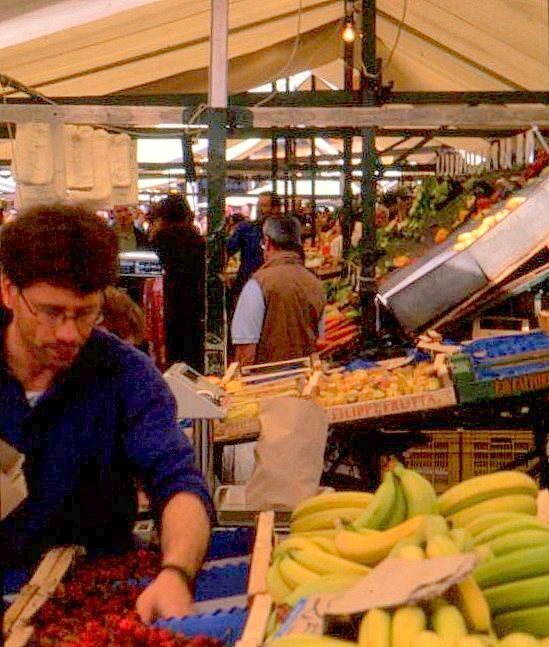 The fresh produce under the canopies is eye-popping, for the Italians take little as seriously as eating well, but this is also a great spot to people-watch. It’s been a morning delightfully spent, but it’s time to return to the autostrada and the promise of Bologna well before nightfall.